Skrillex, the former screamer of emo band From First To Last and current dubstep superstar/Wreck-It-Ralph soundtrack contributor now has his own 8-bit inspired video game. In Skrillex Quest, beat-loving gamers can save the world in a game that unfortunately doesn't consist of Skrillex avoiding cartoon bees on stage. Instead, the game is a electro-blasted take on The Legend Of Zelda. Developed by Jason Oda, the story is set in the magical kingdom of a video game cartridge that was tragically corrupted by a speck of dust. Rather than just blowing on it, gamers have to play as a green-cloaked knight that looks a lot like Zelda's Link and battle evil colorful squares to save a princess that looks a lot like Zelda. 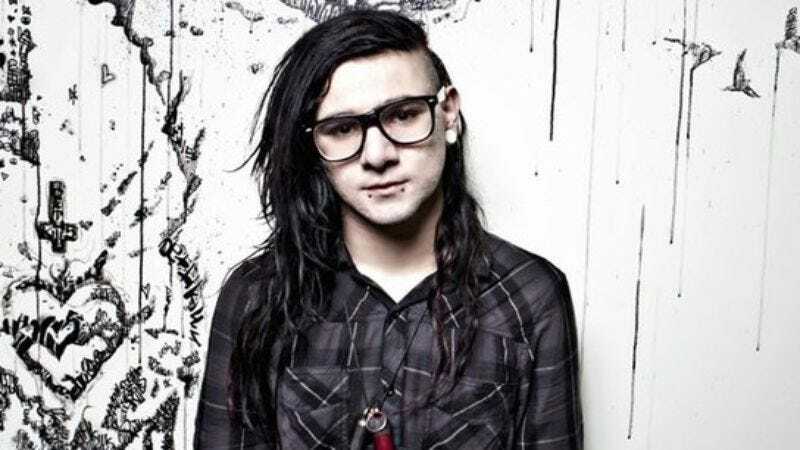 Throughout the game, Skrillex's music is blaring along with other wub-wub sounds to give the gaming experience that certain dubstep je ne sais quoi.